Mark borders of the picture. 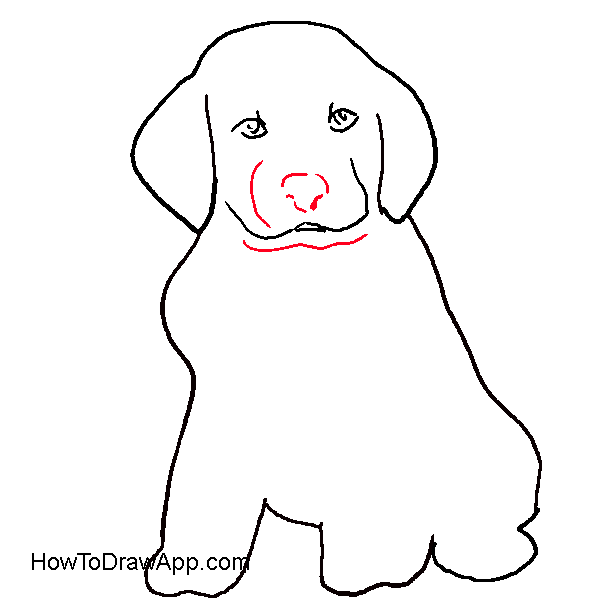 Draw an upper circle for the head of the dog. Draw a bigger oval beneath. Schedule legs in front. 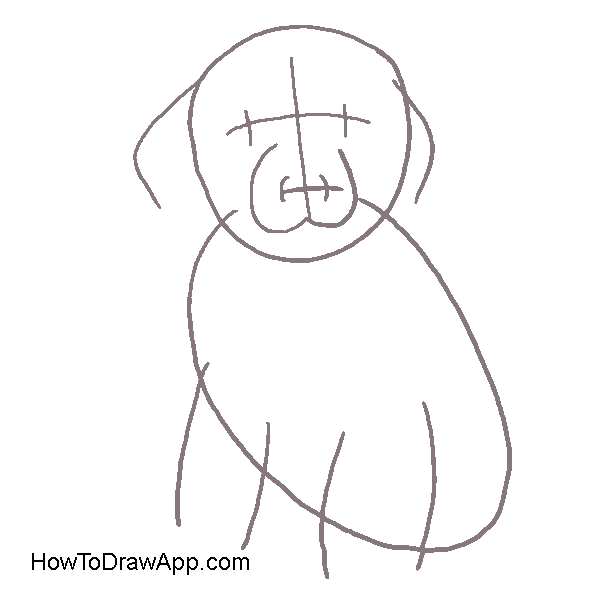 Draw a head of the puppy. 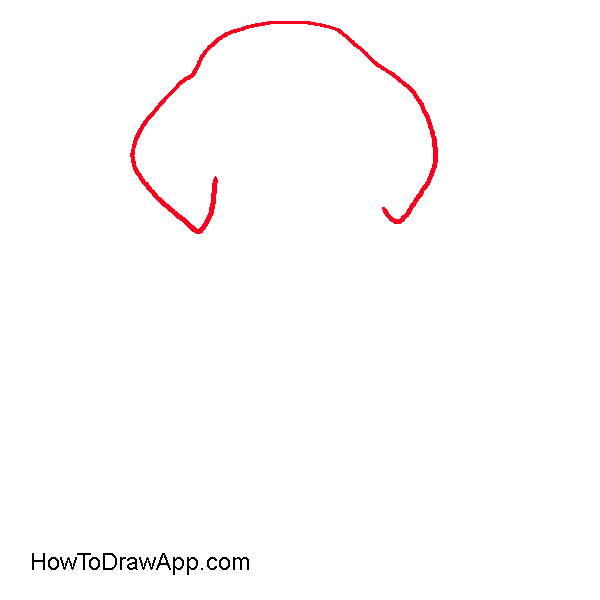 Start drawing ears at the sides and connect them with a curved upper line. 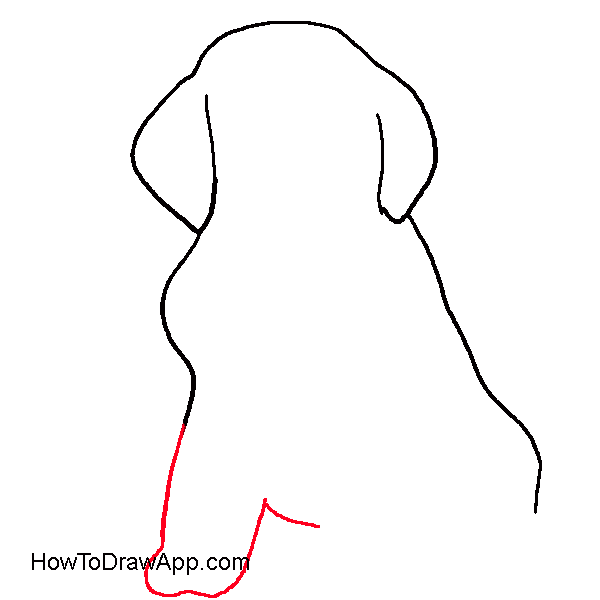 Outline the contours of the puppy. 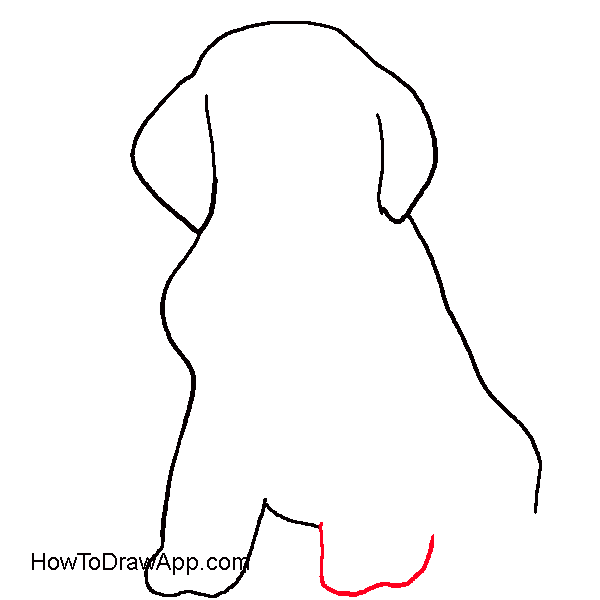 Draw the first front leg. 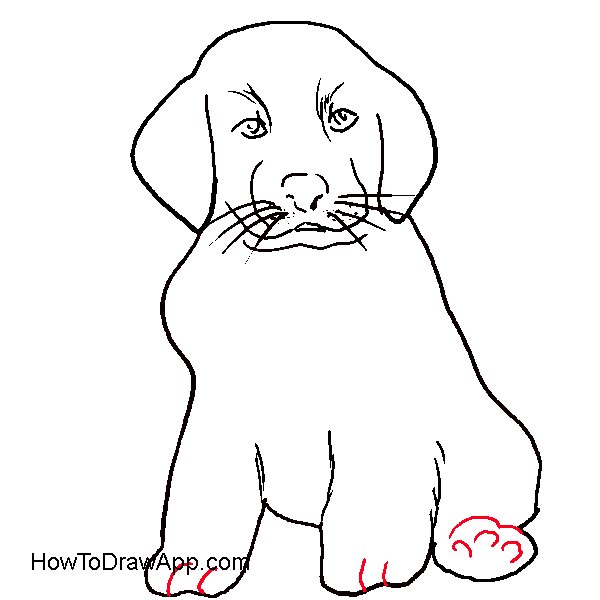 Mark the second front paw. 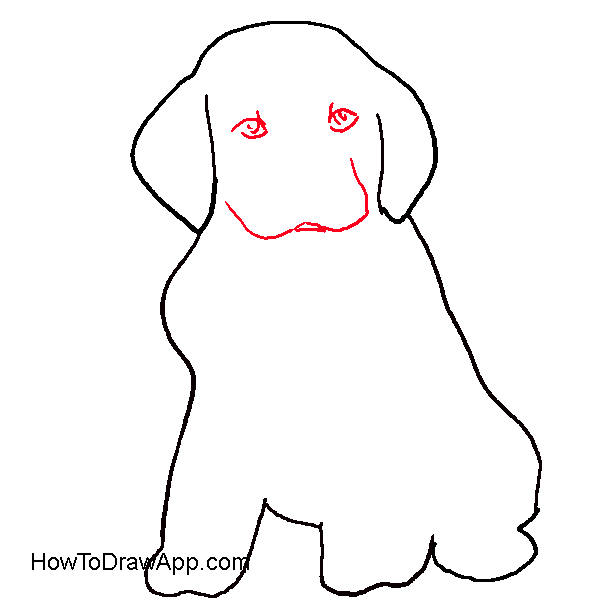 Draw two small eyes at the sides and outline the muzzle of the puppy. 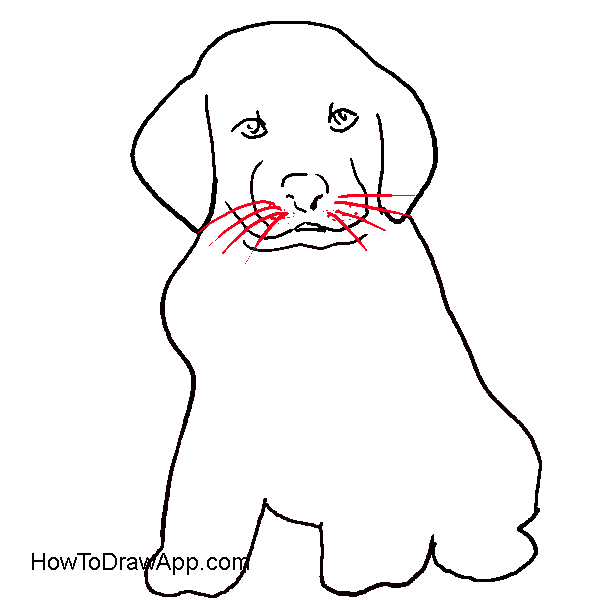 Draw a heart-shaped nose and the line of the lower jaw. 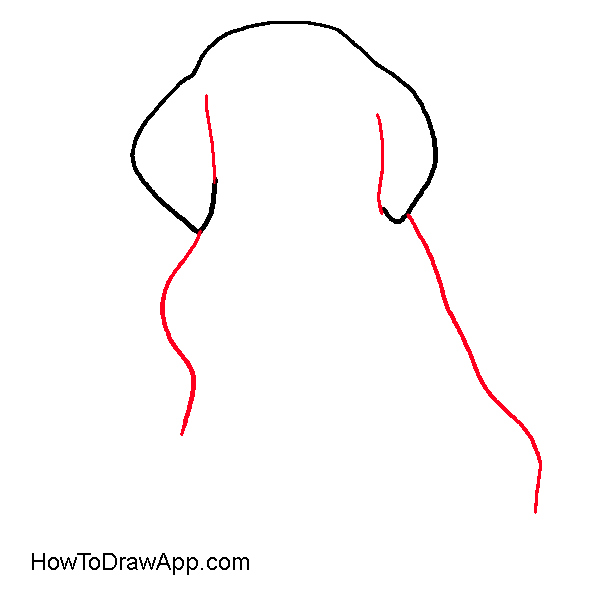 Add eyebrows by small slanted lines. 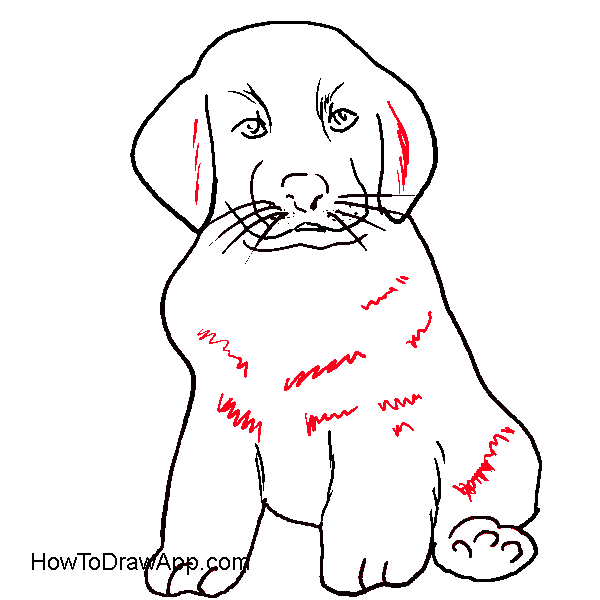 Draw some lines to show fur. 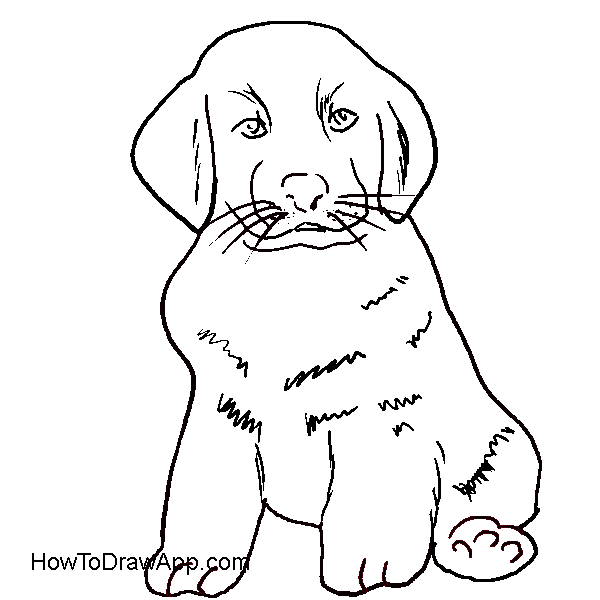 Draw paws in more detail. 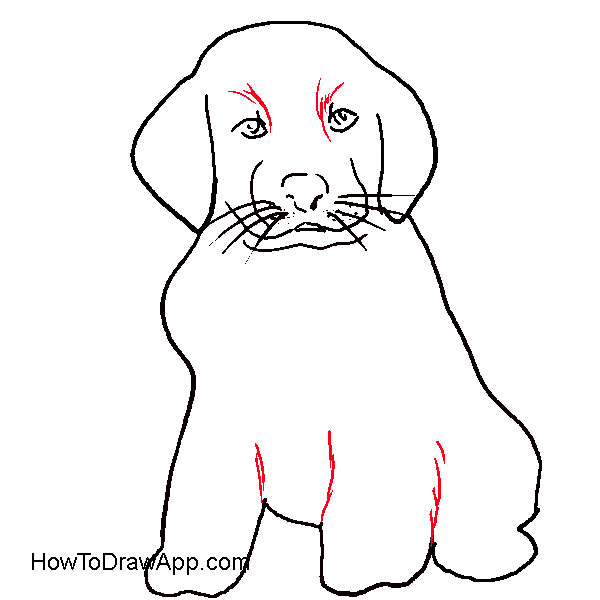 Add some tooth-like lines to show fur of the puppy. 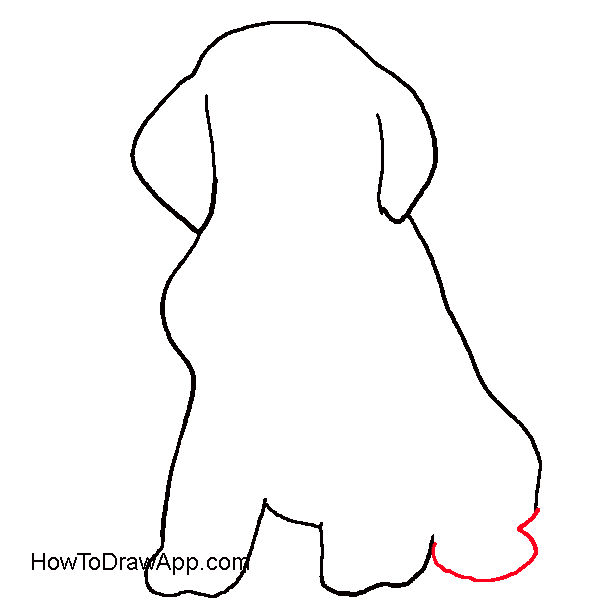 Drawing of the puppy is finished. Now you can start coloring it. 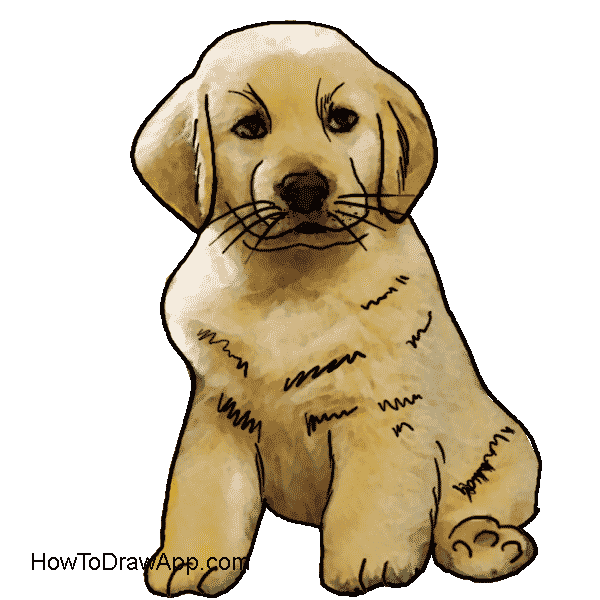 Draw your puppy in white or beige, add more shades to show fur.